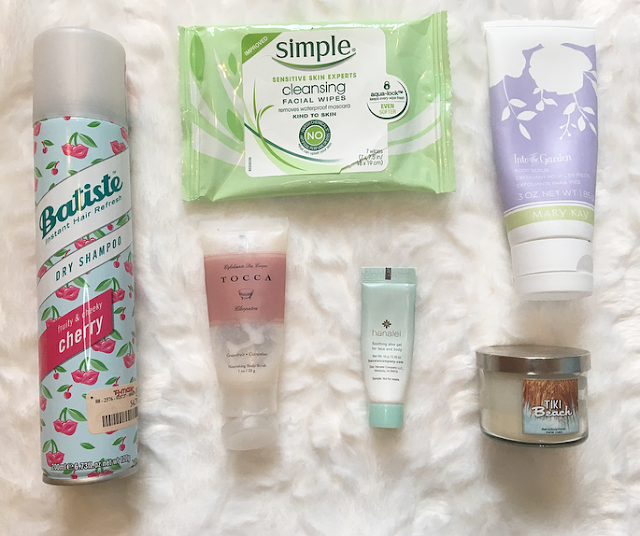 Another month, another round of empties! 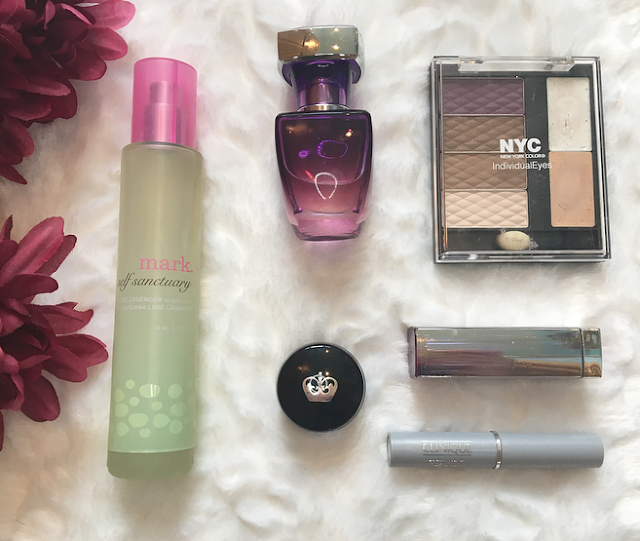 It is very hard for me to finish most products, so you know that if I included something in the empties portion of this post that I really got my use out of it. If it's in the declutter section, however, I probably haven't been using it and don't think I will ever finish it I'm clearing out a lot this month and I'm pretty proud of myself! 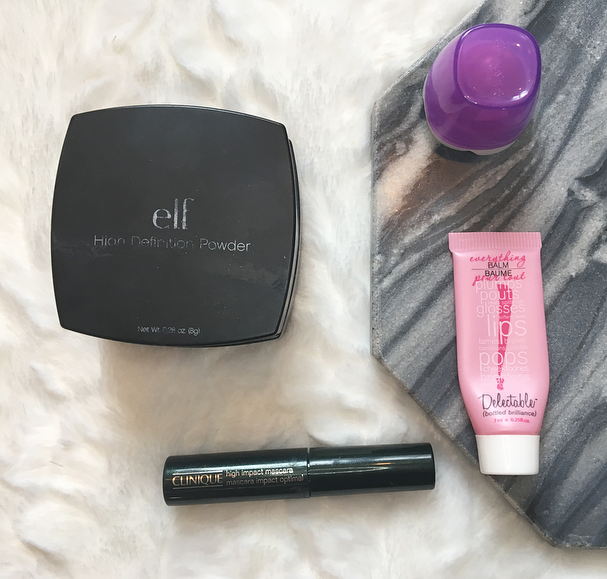 I used this powder every single day to set my makeup, especially my concealer. It was very fine and good for the price, but I wanted to try out the highly-rated RCMA no color powder, which I love even more. I am keeping the packaging to pour out the RCMA powder into! I get these all the time from my aunt, in fact I have another one buried in my collection somewhere. It's not my favorite mascara, but it's okay and I like it for the bottom lashes. It definitely gives more volume than length in my opinion. I wouldn't purchase this myself, and I don't plan on getting any more samples. I got this raspberry scented balm in an old Ipsy bag and initially didn't like the scent, but it started to grow on me. I put this mostly on my cuticles and lips before bed. It has a consistency similar to the Glossier Balm Dot Com but a little bit more liquid. I don't think I'll repurchase it as I'm overrun with lip balms, but I wouldn't say no to another tube. I got this and two other scents from Influenster to try out, and unfortunately this one broke and I can't use it anymore. This was my favorite of the scents, too! It has a berry scent and a smooth, hydrating formula. I tend to prefer medicinal lip balms over fruity ones as I don't need to reapply as often. A few weeks ago I spent 8 hours on a pontoon boat and had a great time, but got a nasty sunburn. This sample from Ipsy came in handy! It smelled really nice (faintly of cucumber) and felt cooling on the skin. My aunt sells Mary Kay and she gifted this to me last Christmas. I love scrubs of all kind, and I didn't have one for my feet, so I used this pretty much every time I took a shower. It has a lavender scent and isn't too rough, but it definitely works. Another scrub, this was a trail size that I got in a pack of three from TJ Maxx. Cleopatra smells like grapefruit and is my favorite of the Tocca scrubs that I've tried so far! It's more gentle than most body scrubs, so I used it on my chest, neck, and arms mostly. This little tube lasted me several months so I'm very impressed with it. Of all the Batiste scents that I've tried, the cherry one is my favorite! I've used a couple of other brands of dry shampoo and Batiste is my favorite, though it does leave a white cast if you spray too much. I've already repurchased this and will likely use up that bottle, too. Unfortunately this will be my last bottle until I can get a confirmation that Batiste is cruelty-free. I received these from Influenster to try out for an honest review, and here it is: I don't really like makeup wipes in general, so these were not my favorite. 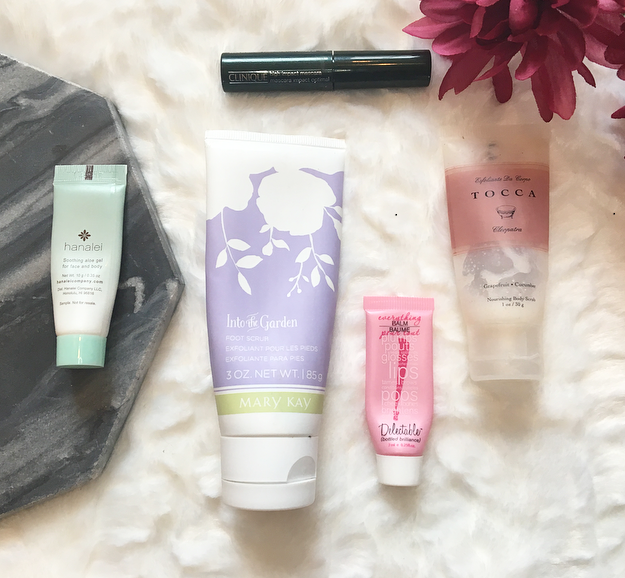 I only used them on nights when I was so tired that I didn't want to do any part of my regular skincare routine. They were okay at removing makeup but I think micellar water works better. I think I got this at a baby shower ages ago and I finally finished it. It smells like summer, a little bit of coconut, pineapple, and sunscreen. My sister gave me this years ago and I never use it. It has a slightly lavender scent, whereas I prefer sweet, fruity, or light floral scents. I actually really like most Paris Hilton perfumes, but this one gives me a headache. It is supposed to have notes of fuji apple, white peach, and bergamot, but all I smell is chemicals. I'm glad I only have a travel size of this because I've only used it a few times. I bought this just to try out gel eyeliner and see if I like it, and at first I did, but as the months went on I never used it. I haven't touched this in several months and I don't plan to, so I think I should declutter it before it dries up. Back in the days when I didn't spend more than $5 on any one makeup item, NYC was my ride or die. I remember being really unimpressed with a lot of their products, but this palette was pretty good for the price. The purples in this are really pretty and the mattes are surprisingly soft. However, since getting into high-end makeup I haven't reached for this at all and it has got to be more than five years old by now. Time to go! Another product I've had for an embarrassingly long amount of time is this Maybelline lipstick, which I bought during my pink-lipstick faze of 9th grade. I am about to be in my third year of college. Gross. I think that this is a concealer stick, but it's very dry and hard to blend. It might be good for blemishes but it doesn't match my skin very well and I prefer liquid concealers. What have you finished up recently? 8 comments on "July Empties & Declutter"
Batiste is my favourite brand for dry shampoo too but I haven't used this one, I hope we have it here. Cherry is one of my favourite scents in products!! I'm about to finish my Glossier Mint Balm dotcom, that's the first time I've emptied something in a long time, LOL! Awesome! I need to try Elf products and the Batiste dry shampoo! The Tocca scrub sounds so nice! I love grapefruit scented products.